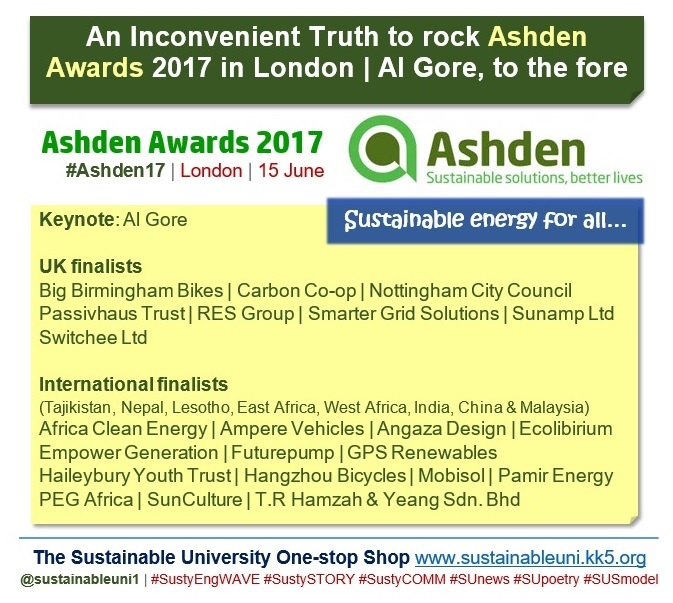 Former US Vice-President Al Gore will deliver the keynote at the 2017 Ashden Awards ceremony to be held at the Royal Geographical Society in London on Thursday 15 June 2017. The ceremony week will also see Ashden Conferences and other events to showcase the winners’ work and discuss the challenges of creating a low-carbon future. The Awards, established in 2001, are globally recognised as a measure for excellence in the field of green energy. Keynote speaker: Al Gore the keynote speaker is no stranger to the Ashden Awards ceremony. He hosted it in 2007, not long after the release of his ground-breaking film on global warming, An Inconvenient Truth. This time, his appearance coincides with the release of another of his movies, An Inconvenient Sequel: Truth to Power. 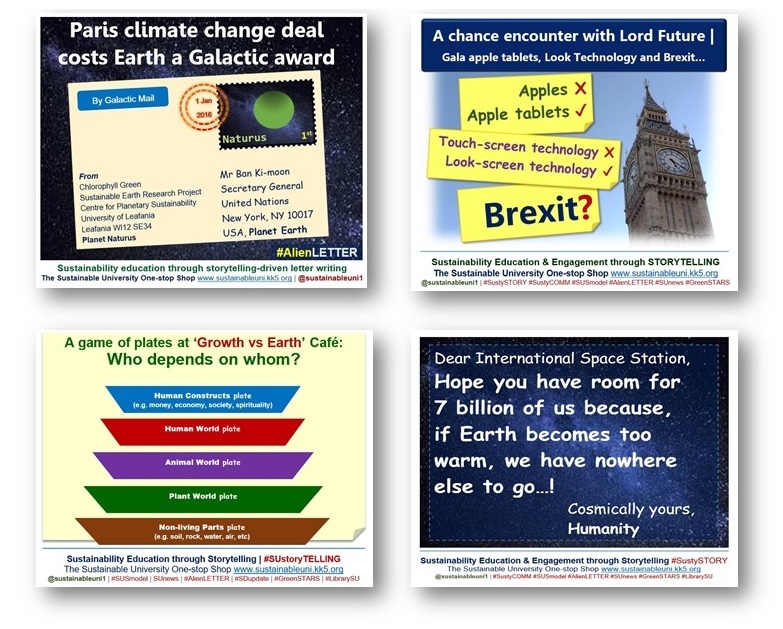 In the keynote he is expected to share his views on the progress since last year’s Paris climate agreement at COP21, the impact of the current political environment on the efforts to encourage divestment from fossil fuels, and how this year’s winners are contributing to the battle against climate change. With a focus on reducing carbon emissions and saving energy, the work of the UK finalists spans a number of areas, including energy usage in buildings, energy storage, smart energy hardware and software, and clean air in cities. With projects in Tajikistan, Nepal, Lesotho, East Africa, West Africa, India, China and Malaysia, the International finalists are supporting best practice in a number of areas, including sustainable buildings, clean energy for women and girls, innovative finance, clean energy and water, powering business and sustainable travel. Prize money and other benefits: The winners, who will receive a financial award of up to £20,000, will also benefit from national and global exposure, tailored support to help them develop their work even further, access to new networks and, more importantly, joining the community of over 190 Ashden Alumni. Funders: Funders of the 2017 Ashden Awards include Citi, the Esmée Fairbairn Foundation, the Garfield Weston Foundation, Grosvenor, the Ikea Foundation, Impax Asset Management, UK aid, and the Waterloo Foundation. Driven by the belief that sustainable energy is the biggest challenge – and the biggest opportunity – in these times, Ashden is a charity that champions and supports the leaders in sustainable energy to accelerate the transition to a low-carbon world. Envisioning a world where there is sustainable energy for all, Ashden uncovers the best in sustainable energy and shows the world its potential to improve lives, boost economic growth and accelerate the transition to a low-carbon world. Celebrating success: The Awards uncover and reward sustainable energy pioneers in the UK and developing world, providing them with a global platform to promote their work and to access sustainable energy leaders. Helping winners grow: Working with expert partners, Ashden offers Award winners tailor-made support for their expansion, including mentoring, business and technical guidance and introductions to finance. It also helps broker partnerships between winners. Sharing best practice: In numerous ways the charity helps its Award winners to share their expertise as an encouragement for others to follow. 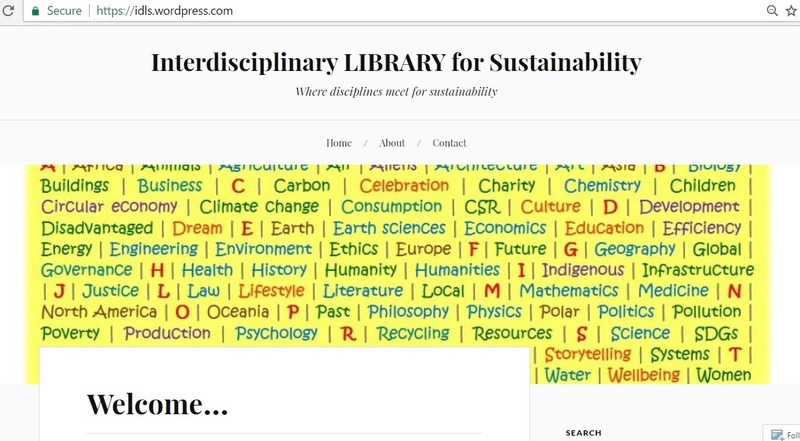 These include its flagship LESS CO2 mentoring programme for UK schools, its support to the Ashden India Renewable Energy Collective, conferences and other events, and its online resources section. Influencing policy: Ashden champions Award winners’ solutions through events, publicity, research and engagement in policy consultations, and it helps them better understand how to influence energy policy. Since 2001, Ashden Awards winners have transformed the lives of more than 79 million people worldwide, through solutions that range from solar lanterns in Africa to low-carbon building innovation in the UK. Note: This post is based on the content on Ashden website, which is also the source of the logo in the graphic above.